Danny Dorling – 丹尼·道灵 » News » Still two weeks to go until Brexit? Still two weeks to go until Brexit? On the eve of the House of Commons trying to break the Brexit deadlock, a public lecture concerning what Brexit tells us about the British. 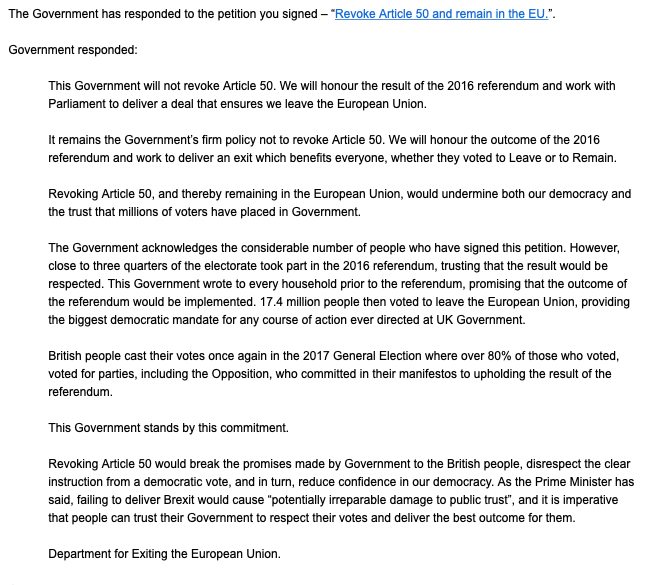 UK Government response to 5.8+ million people signing a petition to revoke, just before it agreed to a debate on the issue of whether article 50 should now be revoked.